We can also customize labels as per your Requirement. It is used as a preservative, a flavoring agent as well as in form of toppings on regional cuisines. Crushed red pepper or red pepper flakes (RPF) or Red Chilli cutter is a condiment consisting of dried and crushed (as opposed to ground) red chili peppers. 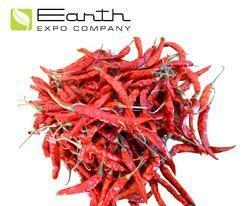 Red Pepper We are the organization engaged in offering a wide variety of Red Pepper to the valued customers. 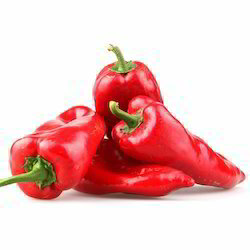 These Red Peppers are great in taste and are cultivated using high grade seeds and good fertilizers. These Red Peppers are used in preparing various types of edible dishes that are healthy to consume. We are highly appreciated in the market for Distributing and exporting wide range of chilly. our firm procured dried chilies from reputed farmer, after that we sun dried these chilies till they become crispy. Owing to their superlative seal-ability packaging, these products are highly demanded by the esteemed clients, for high aesthetic value, purity, fine ground and aroma. Backed by our vast experience in this domain, we are able to manufacture and export Red Pepper. Our team of expert professionals cultivate these peppers by making use of advanced machines and tools to cultivate the land. The offer peppers have a long shelf life and are full of flavor, therefore, demanded by hotels and restaurants across the market. We are the organization engaged in offering a wide variety of Red Pepper to the valued customers. These Red Peppers are great in taste and are cultivated using high grade seeds and good fertilizers. These Red Peppers are used in preparing various types of edible dishes that are healthy to consume.